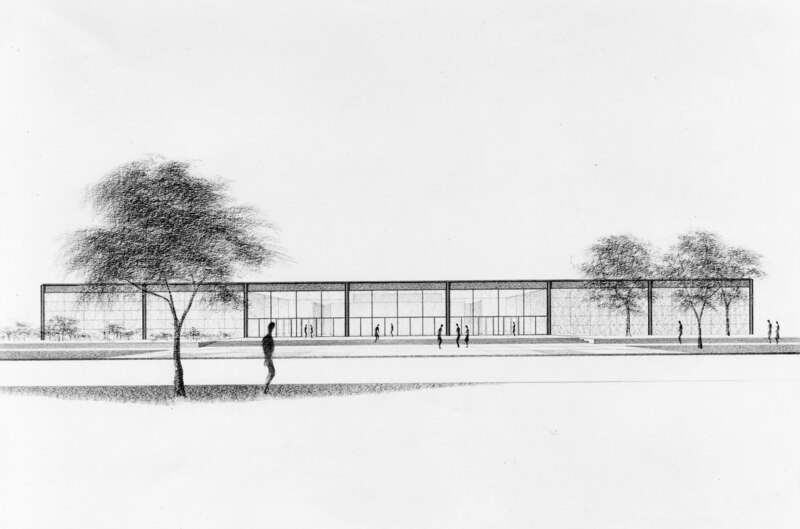 SSA was designed by one of Chicago's most celebrated architects, Ludwig Mies van der Rohe. It was completed in 1965 during a period when the University was expanding. The architecture that was chosen for the south side of the midway was intended to contrast the rest of the University's Gothic style. All along 60th Street, SSA's neighbors represent a "Who's Who" of modern architecture, including the Law School, designed by Eero Saarinen and the New Graduate Residence Hall, designed by Edward Durrel Stone. 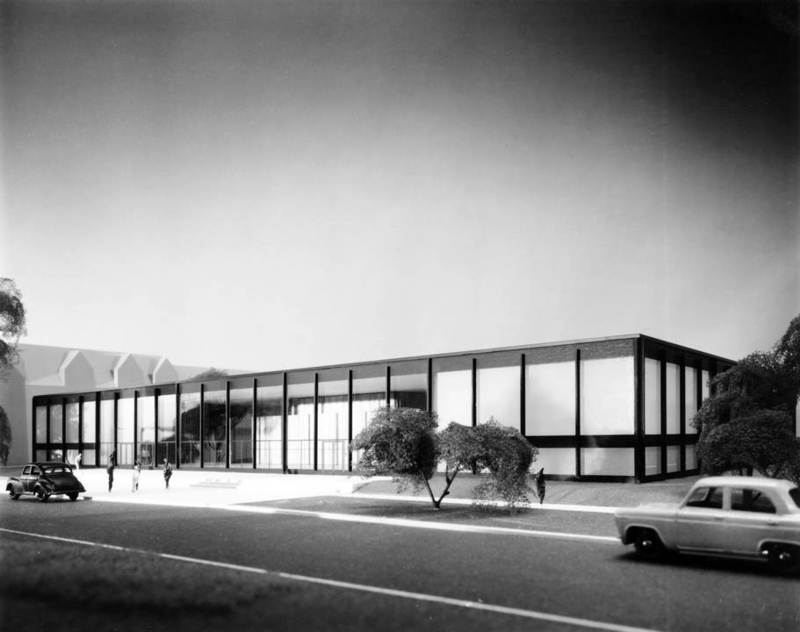 Mies van der Rohe was noted for his unconventional use of materials. Steel girders and brick, normally restricted to the exterior of buildings, were used by Mr. van der Rohe for interior design. The huge expanses of glass are also characteristic of his work, and serve to make less of a barrier between the outside and inside of the building. SSA's enormous lobby is a major feature of the building. This large "public" space is particularly appropriate for a school of social work and, in fact, it serves year-round as the social place, not only for functions and events, but for daily student socializing, study groups, and meetings.